This is a everyday example of how visual cues and our emotions work to compel us to take action. We use the same techniques to elicit the same reactions in direct response creative. -Order now while there is still time! But that’s only half of it. To be most impactful, you need to pair these phrases with specific design elements. 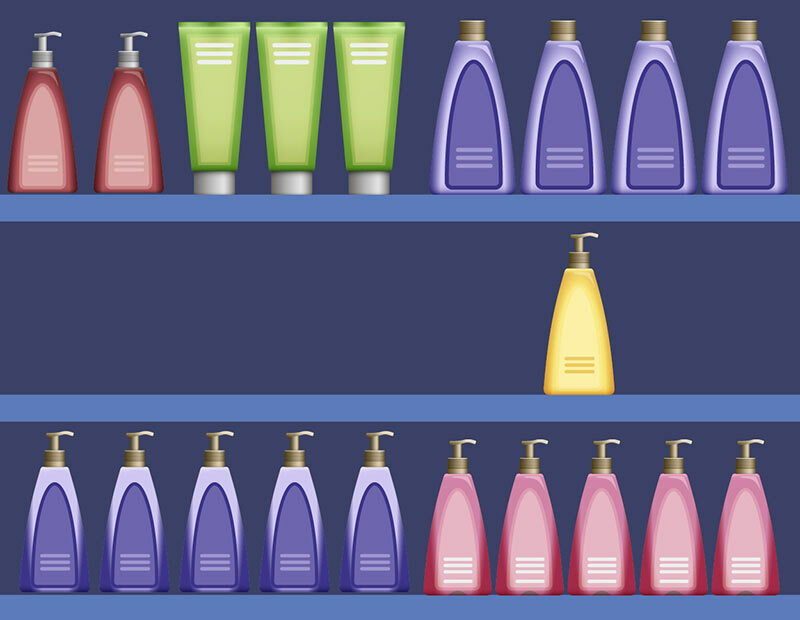 Think of the bottle of lotion again sitting by itself on the shelf surrounded by empty space. There’s bold text on the package that was shouting out its benefits. If this same bottle of lotion was placed on a full shelf with the competitors’ brands, I would not have noticed it as quickly and strongly. Now let’s apply this to direct response creative — how do you draw someone’s eye to the take an action with a sense of urgency? Just like the lotion, surround it with white (empty) space, then add bold and color to the text to make it shout out. Still, there is one more element we need to add to make the strongest impact: the arrow. I equate this arrow to the woman standing next to me, directing my eyes to the solo bottle of lotion. It is the “big push” to get someone to see the call to action. Arrows can be big, fingers pointing, colorful or not, or even small but — they all have impact. Why are they so effective? It’s because people’s eyes will always follow where the arrow is going. Arrows can be big or small, colorful or not, even pointing fingers — but they all have impact. Why are they so effective? It’s because people’s eyes will always follow where the arrow is going. If you are not already adding an arrow to your call to actions, try it. I am confident to say it would benefit your creative.